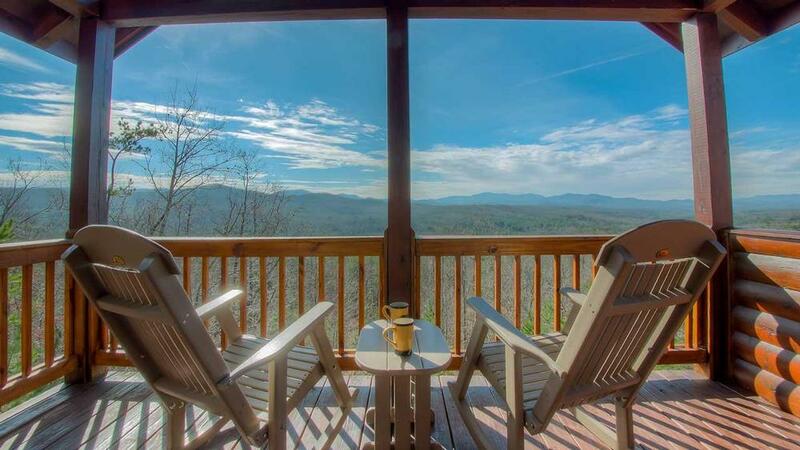 If privacy, peace and quiet, and a spectacular view top your vacation wish list, you'll find that and so much more at the North Georgia mountain cabin rental Bear Hug. It's the kind of place that envelops you like a huge hug from a loved one, surrounding you in an atmosphere of fun, love and laughter. 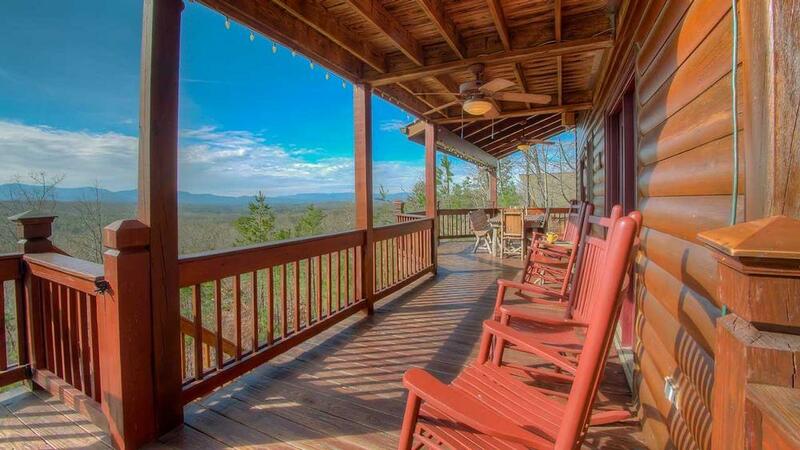 Constructed of knotty pine floor to ceiling, the spacious tri-level lodge is warm, welcoming and inviting, just ten miles from downtown Blue Ridge but worlds away from civilization. 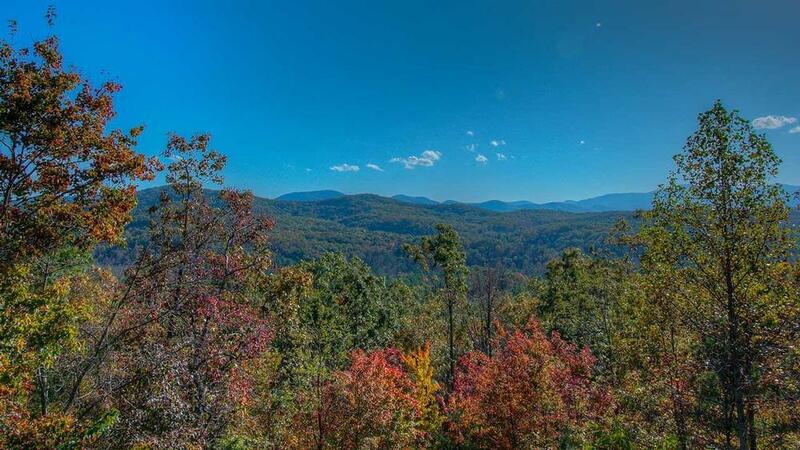 So private you can see only one neighboring home, Bear Hug overlooks the land-protected Chattahoochee National Forest to the west, ensuring you a breathtaking sunset view every evening. You can take the kids into the backyard to play while you break out the bear-themed wine glasses for a relaxing happy hour. Bear Hug is ideal for families, with one bedroom outfitted with one single bed and one custom log bunk bed and kids' amenities like a strap-on highchair seat, Pack N' Play, monitor, and a child safety lock on the basement door. The cabin is pet-friendly too, so you can bring your small dog. There's plenty of entertainment available too, as the cabin has billiards, darts, a 32" TV, iPod docking station, and WiFi in the game room, which has a custom-built bar and wine fridge, and a 40" TV in the family room with another iPod station, surround sound, and DVD/VHS player. Preparing meals is a pleasure in the fully stocked kitchen-with-a-view, where you'll find stainless steel appliances, electric oven and stovetop, microwave, crockpot, toaster, and drip coffeemaker, with dining space for six plus two at the breakfast bar. 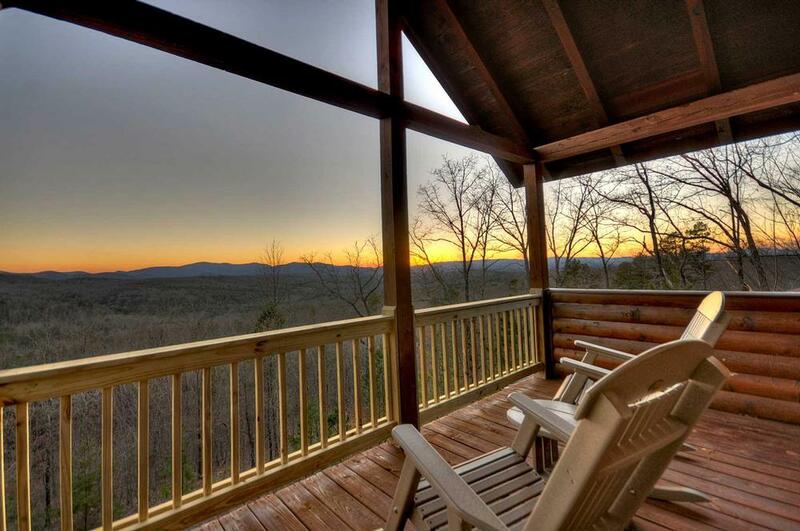 Or fire up the gas grill for a barbecue you can enjoy on the outside deck, where you can relax in the six-person hot tub, kick back in a rocking chair, and use the telescope to get a closer look at the star-filled sky. On cooler nights, you can warm yourself by the fire pit or cuddle up before the fireplace in the family room's cozy sofa or chairs. Or head up to the comfy couch in the loft to read a book—that is, if the view doesn't distract you too much! When it's time to turn in for the night, the comfortably furnished bedrooms await you, each with cooling ceiling fans, unique lamps and plush toy bears in keeping with the cabin's theme. You'll choose from the upstairs master bedroom, with queen bed, deck access and private bath with garden tub and walk-in shower, the main level master bedroom with queen bed, deck access and bath with walk-in shower, and the aforementioned lower level kids' room, with adjacent shower and laundry facilities. A double sleeper sofa in loft can accommodate extra family members or guests. 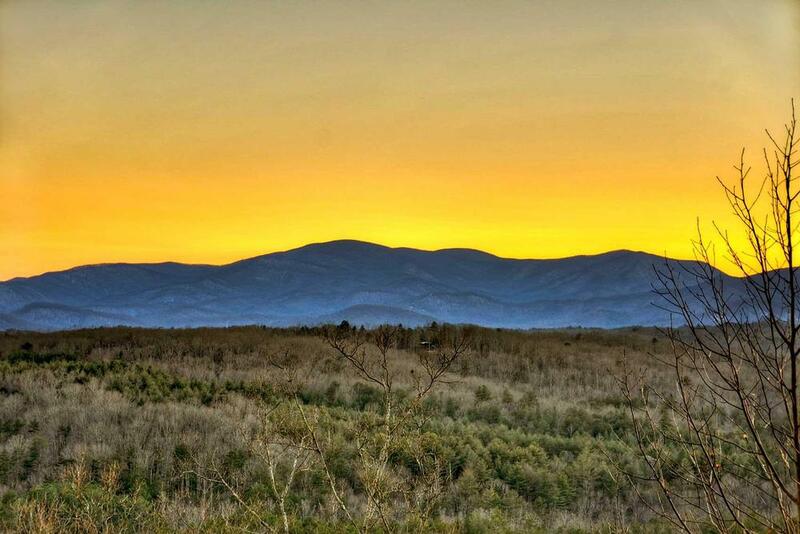 In the morning, you can take a drive to Morganton Point, a great place to swim, kayak, and picnic in the summer, or head to downtown Blue Ridge to visit the Arts Center, playground, restaurant, boutiques and art galleries. The perfect blend of fun-filled activities and restful, relaxing escape, Bear Hug gives you the best of both worlds and vacation memories you'll treasure for years to come. 10/18 - Very nice cabin. Well stocked with kitchen items. Comfortable beds. Great views. Very professional. Will definitely consider using again. 09/18 - View was great. Great company. I already referred you guys to our friends. 09/18 - We had a wonderful time. We really enjoyed the cabin. It was fantastic and sparkly clean! 08/18 - Covered porch - could sit out in rain and be protected from sun. Great company - use over an over! 06/18 - The cabin is in close proximity to a lot of activities. The company is well managed and communication is good. 06/18 - Everything about this home was perfect! The view was amazing and the home was cozy. We enjoyed the open floor plan in the living area, soaking in the hot tub, the downstairs game room, and the large back porch. Escape to Blue Ridge was very pleasant to work with. The booking was easy and the staff was friendly. 05/18 - It was elegant. It had an amazing mountain view and had all the features I was looking for. I've been very impressed with your company and plan to make many more cabin stays in the future. 4/18 - Loved the view, the neighborhood, the deck. Fabulous! The kitchen very well equipped, we enjoyed the game room, hot tub and the views The rooms very well laid out. The company was very pleasant to work with. 4/18 - The view was amazing. The company is great and the staff are nice. 08/17- Really liked the cabin. The company was great, everything was as advertised. 04/17- The kids loved the bunk beds! I loved the large decks and that there was plenty of seating outside. It was also great that there were options to sit in the shade and in the sun. We had a few chilly days but it was comfortable sitting outside when in the sun. We also loved the pool table and the hot tub. The reservation process was simple and email communications were great. I also loved the binder of information left in the cabin. 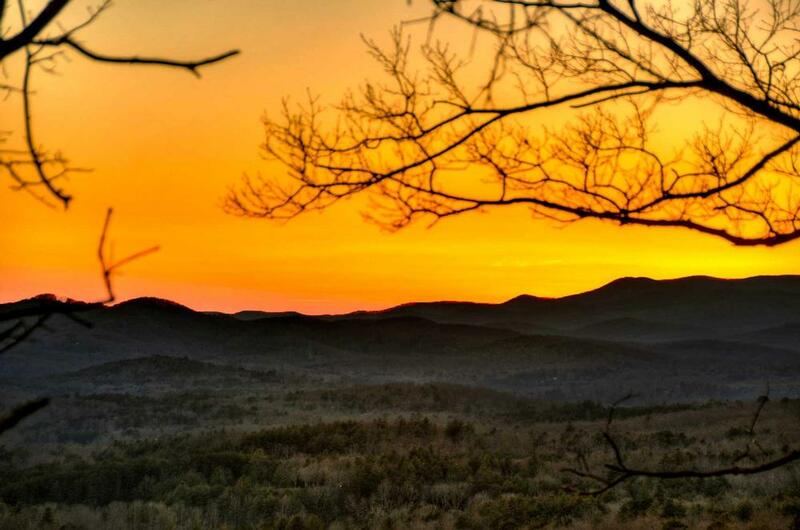 I would definitely use Escape to Blue Ridge again but I will call to make reservations next time to make sure I'm getting the location I'm looking for. 11/16- The home was close to town and shopping. It was a very nice and quiet neighborhood. 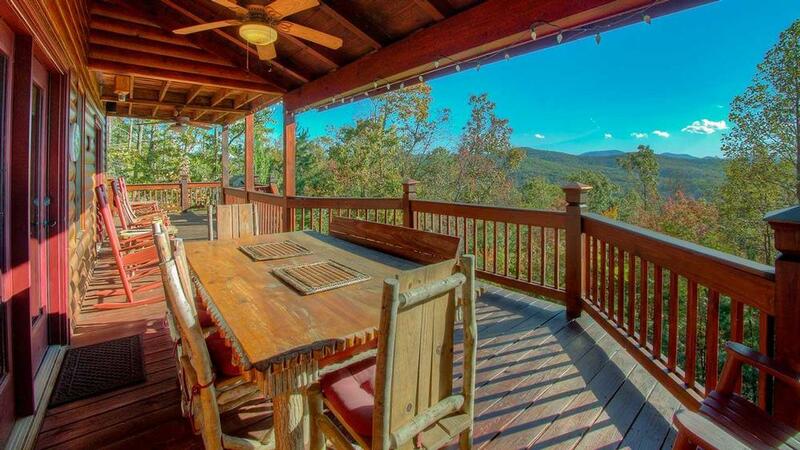 We enjoyed the deck and view of the mountains. We liked the pool table. The beds were comfortable. Overall it was a very nice home. I have rented with your company in the past and I will be back! 10/16- The description on the website is accurate. 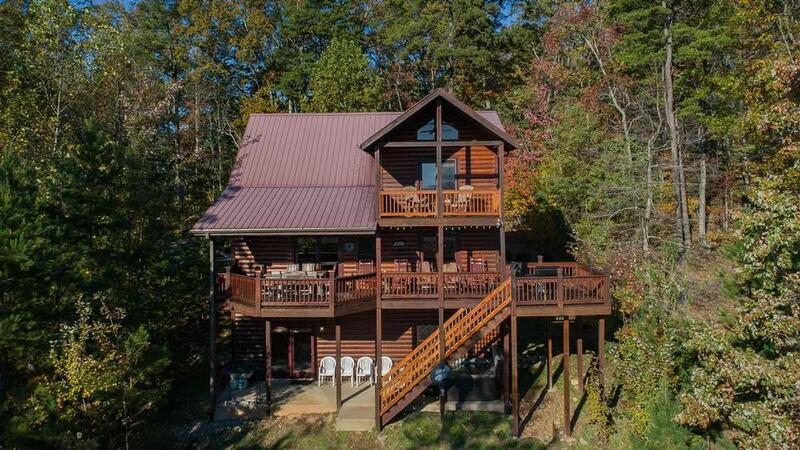 The cabin is private and although there are several cabins nearby, you only see one when you are inside or on the porch. The views are very nice. I have rented from this company many times before and found your cabins to be the best in the area. 10/16- Our favorite feature of the home was the remote location and it was very clean. The EBR staff were very professional and attentive. 10/16- The house is well laid out, comfortable and clean and the pool table was a lot of fun for my husband and son. The staff is friendly, helpful, and easy to work with. 09/16- The cabin was clean and close to Blue Ridge. Escape to Blue Ridge was very nice to work with and the staff was friendly. We worked with Jenny and she was great. 08/16- It was clean and absolutely move in ready. Everything that we needed was there...plus much more. There is something there for the entire family. The home was comfortable and inviting. We extended a day because it was that enjoyable. Wish we could've stayed longer. 07/16- Wow! This is a real home away from home! Everything you need to immediately unpack and start a vacation. 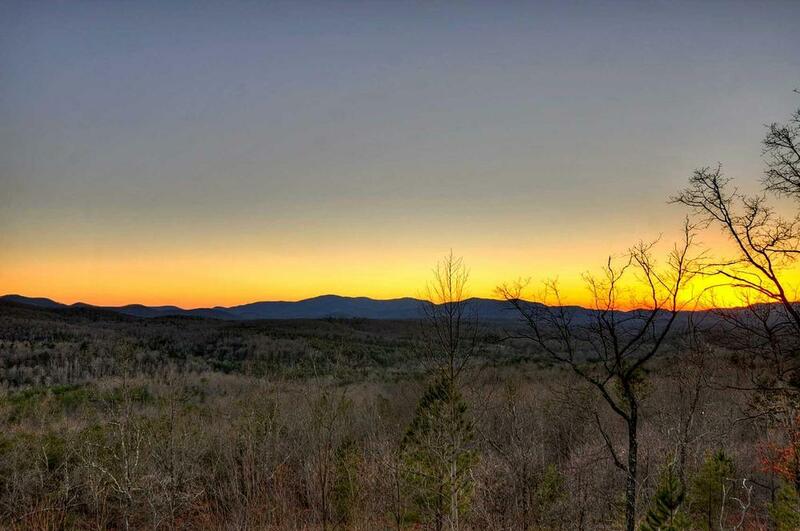 Lots of nice amenities -- HD TV, multi-zone stereo, full kitchen, Jacuzzi, fire pit, lots of porch space full of rocking chairs to watch the beautiful sunsets, and more. Washer & Dryer, dishwasher, gas grill, pool table and the all important wine refrigerator! Towel & linens provided were nice too. And come happy hour(s) you'll appreciate that the ice-maker can keep pace with your libations. 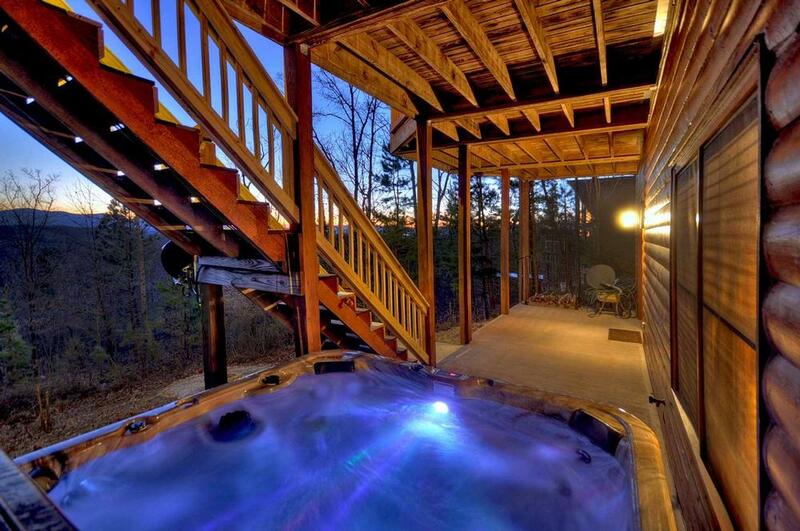 It truly is an out-of-the-box vacation and relaxation home ready to for you when you arrive. 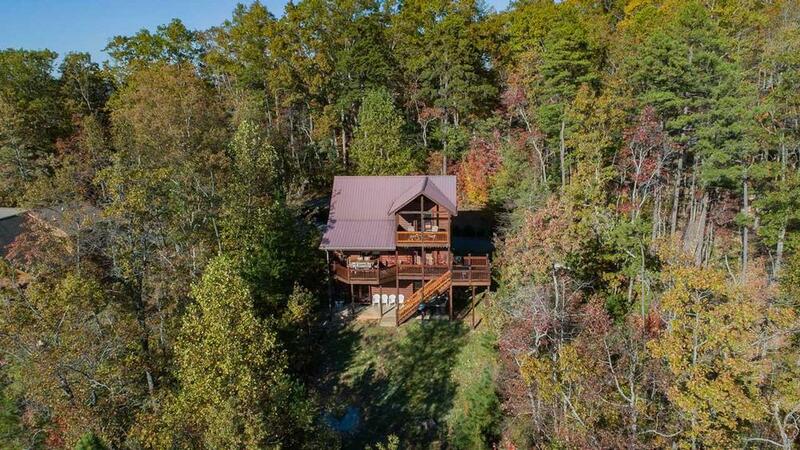 Quiet and peaceful home and surrounding wooded area. 06/16- View, pool table, kitchen, beds were comfortable, amenities and y'all thought of everything! Great company to work with. Very quick response to emails and phone calls. The cabin was beautiful and our family had a blast! 04/16- The location, and the fact that my boys loved it.